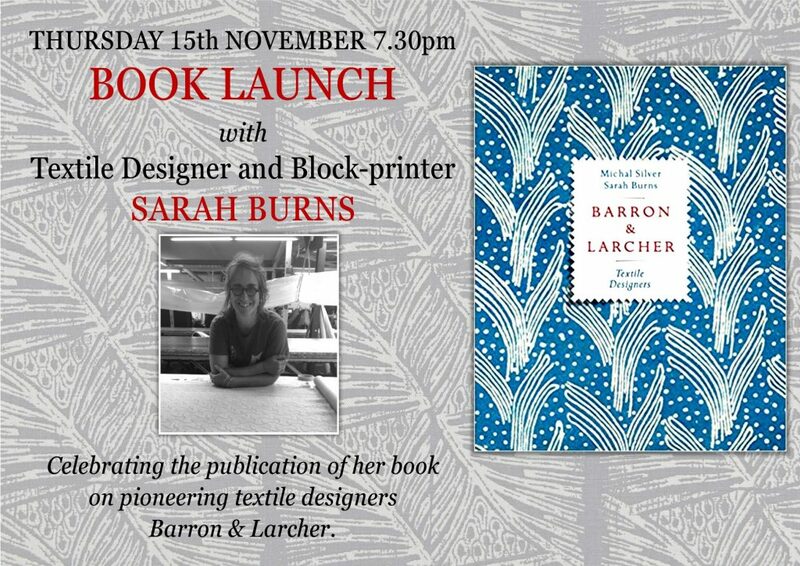 On Thursday 15th November join Steyning’s very own block printer and textile designer – and cheerful bookshop assistant – Sarah Burns, at the launch of her debut publication! 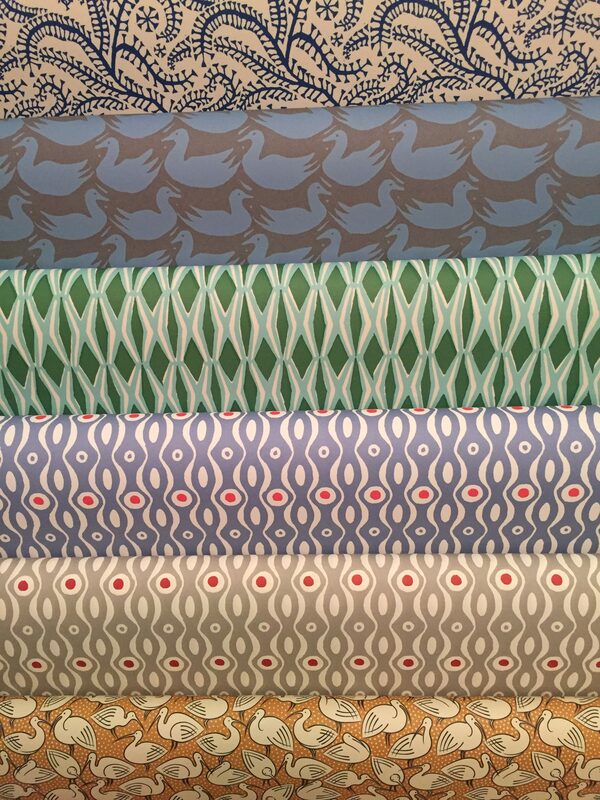 Sarah became fascinated by the lives and work of textile designers Phyllis Barron and Dorothy Larcher when she was involved in a project to bring their beautiful block-print designs back into production. Phyllis Barron and Dorothy Larcher were pioneering English textile designers of the 20th Century – collaborating with the likes of Coco Chanel and running their own very successful block printing workshop during the 1920’s and 30’s. As designer-makers they formed a unique partnership producing innovative textiles & pushed the boundaries of what could be achieved with natural dyes and hand-cut wooden blocks.Their beautiful block-printed fabrics are reproduced here in this very first monograph of their work. The book is produced with colour illustrations throughout, by ACC Art Books, and is a fascinating and inspirational insight into two remarkable, talented women. This is a free evening event, with wine and canapes, open to all, but we do ask that you get in touch and add your name to the guest list if you’d like to come!